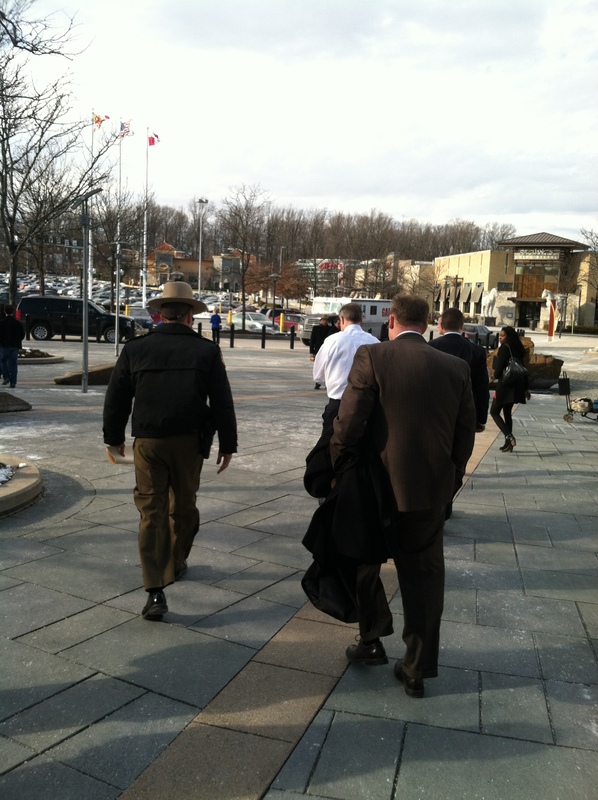 So, yesterday I locked eyes with Martin O’Malley. 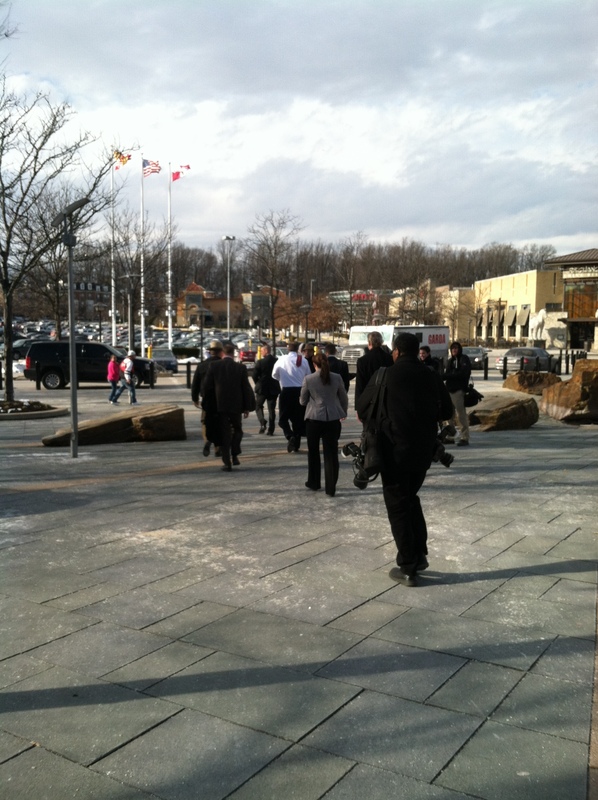 He was at the Mall in Columbia, showing his support for the victims and the strong community of Howard County. We’re in his Maryland patch, and so he showed up, which was ace. 3. It would have sounded really weird and desperate if I had squealed in my British accent ‘Oi, Martin, it’s me the UK Desperate Housewife USA!’ (like he knows who I am). I think I might have been escorted away by his burly (and pretty fit looking) security guards. It’s almost like he’s running away from me…. What did I make of Martin? 1. Andrew and I concluded that he is not as tall as we thought he would be. 2. He must have been very cold, as he only had his shirt on and therefore could probably have done with a hug to warm him up. 3. He did look me in the eye, which was most excellent, but he did not smile. To be fair, it was a sad and sombre day. Interestingly, my Fitbit (which measures my activity) stats said that I ran my fastest at 3pm yesterday – that was the time I was running like a dippy Brit bird after Martin O’Malley! My friend, Andrew was asking how we Brits critique America. I told him I had heard and read comments on such things as the right to bear arms, food, portion size, driving everywhere, language use and other things. ‘Do we really have bigger portions?’ he asked. ‘On some occasions, you do,’ I replied. I think this is true in some cases – I’ve seen whopping great mountains of food in some places, but just moderate, normal sizes in others. I think it’s when the only size available (like in the movie theatres, which is the same in the UK if I remember correctly) is small and that actually is frigging enormous (especially when its comes to kids’ sizes). 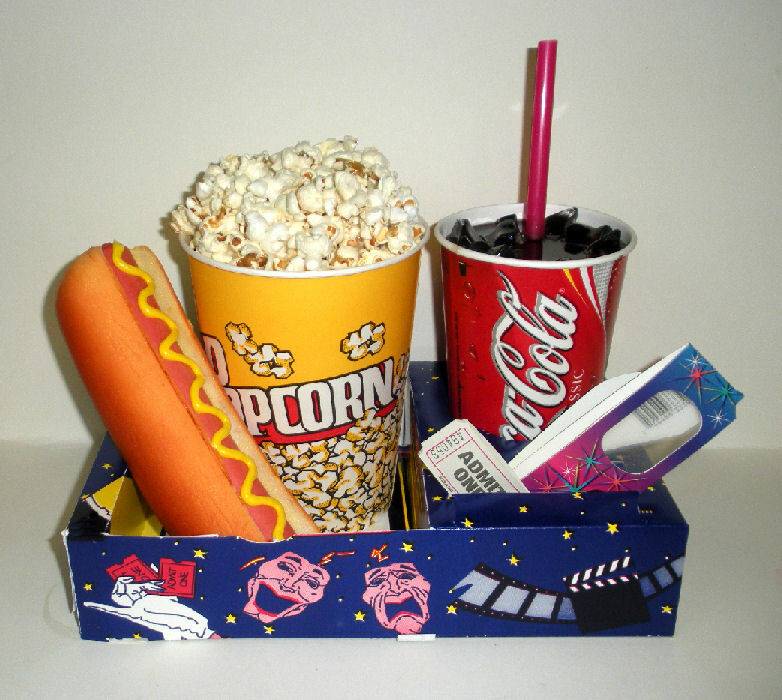 Soda, popcorn, fries – it’s generally the junk food that comes in large sizes, and which are available for free refills, and there lies the problem here and in the UK. I’ve been more aware, however, of the quantity of junk food that is around in the USA and it just seems to be getting bigger. This entry was posted in Travel and tagged America, American, Americans, Britain, British, Columbia Mall, Culture, driving, expat, Fitbit, Governor of Maryland, hocoblogs@@@, Howard County, junk food, Martin O'Malley, popcorn, portion sizes, right to bear arms, security guards, soda, Starbucks, UK, USA. Bookmark the permalink. Icecream scoops. The girls are missing the amount of ice-cream you get in a ‘small’ tub! Yeah! ‘Small’ can feed a whole family!